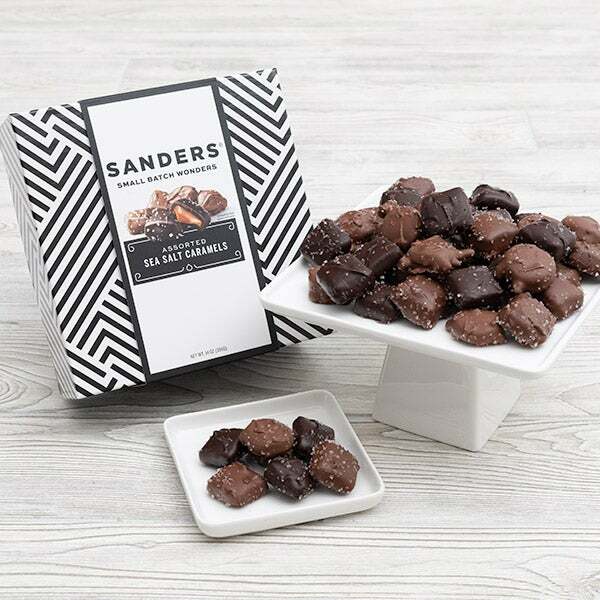 Hand-Dipped Artisan Chocolate Box is rated 4.9 out of 5 by 18. Handmade by skilled artisans, these sinful, slow-melting chocolates are sure to delight. Each one is carefully crafted using the finest ingredients and gently submerged into a bath of silky gourmet milk or dark chocolate. 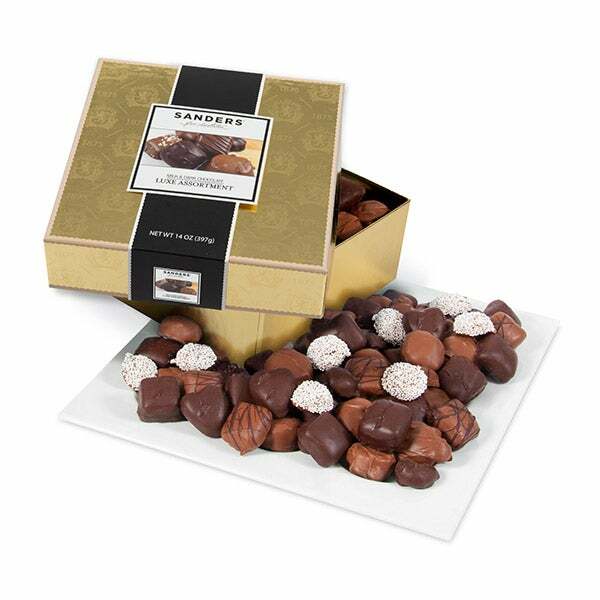 Nearly 30 different chocolates are artfully arranged inside a sturdy gift box as these exquisite confections are guaranteed to impress.